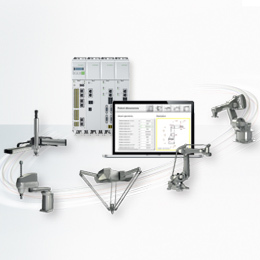 With the cutting-edge control units of the KeControl C5 generation, KEBA is setting new standards in automation technology. The controls are equipped with super compact high-performance CPUs. 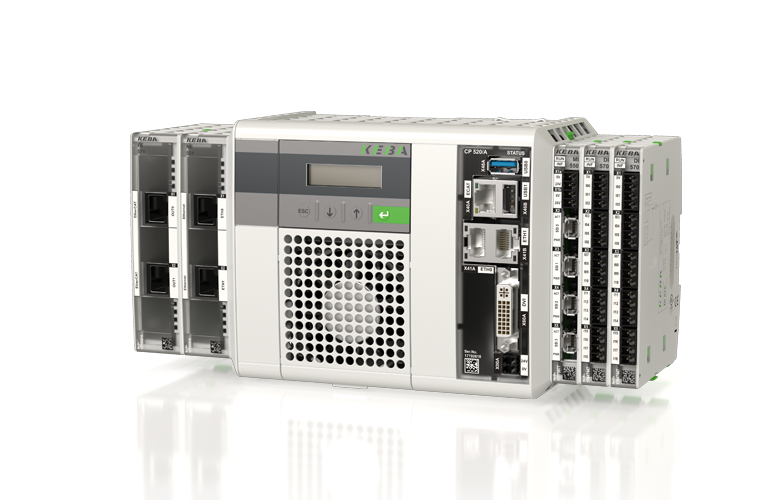 KEBA’s own EtherCAT hardware stack reduces jitter time on the bus and allows for real-time communication. The interface boards feature versatile standard interfaces that can be easily adapted to individual customer requirements. KeControl C5 stands out through its comprehensive modular design and open hardware architecture. This allows for flexible expandability. Any KEBA or customer technology module in the form of an extension board can be mounted directly on the left side of the control units. On the right side, our KeConnect C5 I/O modules can be installed. This offers even greater functionality for a multitude of applications. The control units of the C5 generation are available in two sizes and four performance classes. They can handle anything from conventional control tasks to high-end applications with large computing capacity. 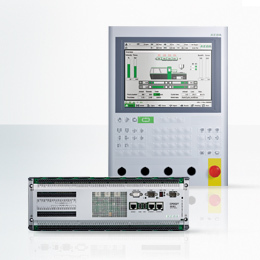 You can simply scale our controls to your specific automation project. At KEBA, we carry out various in-house performance tests. We then label our controls with standardized performance classes. 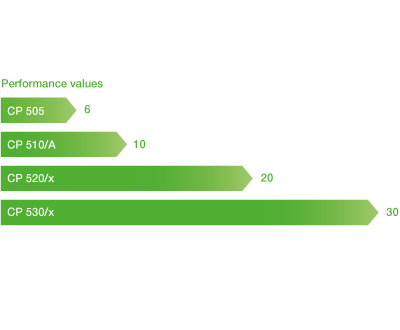 This makes it easy to compare performance and choose the right CPU for your applications. 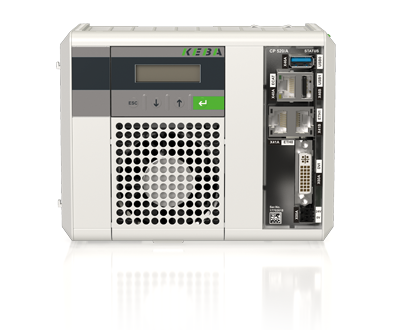 The CP 505/x is the most compact control unit within the KeControl C5 line. It is fanless and stands out through its space-saving design and an unbeatable price-performance ratio. It is the optimum control for conventional control tasks as well as applications that require greater processing power. 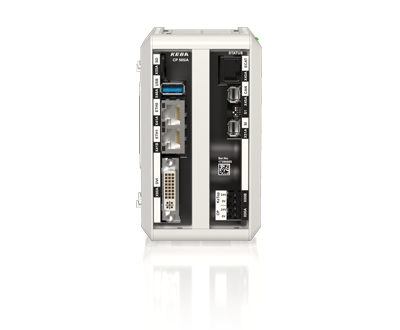 With onboard CAN and a serial interface, all tasks can be solved efficiently and cost-effectively. Our EtherCAT bus and the CPU computing power from a single- to quad-core processor guarantees top performance. The CP 5x0/x is one of our most compact control units, that stands out through excellent performance and small size. It is available in three different performance classes: CP 510/A (performance value 10), CP 520/x (performance value 20) and CP 530/x (performance value 30). 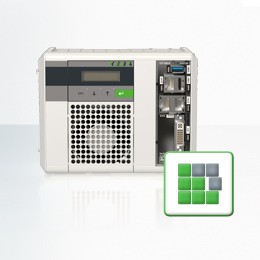 Whatever your application needs are, CP 5x0/x offers the right computing power. All of our CP models feature an integrated HMI on the front of the control unit. This makes operation, parameter setting and diagnosis very straightforward. The KeConnect C5 I/O modules offer superior functionality and can be used for various applications. You can either mount them directly on the KeControl C5 control system or run them remotely with a bus coupler. They are extremely compact and require little space in the control cabinet. High-performance EtherCAT module bus enables top control quality. Extensive diagnosis minimizes maintenance time. Higher machine availability thanks to straightforward servicing.